Many "moms" out there got a glimpse of our fun (and often hectic!) 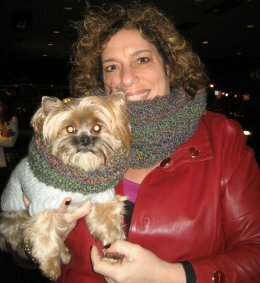 lives on the recent six-week reality series, Doggie Moms on NYC Life (Channel 25), and we wanted to introduce you to just some of the many other, fantastic pet moms--dogs, cats, and otherwise!--in and around our great city. And what better day to do that than on Mother's Day? 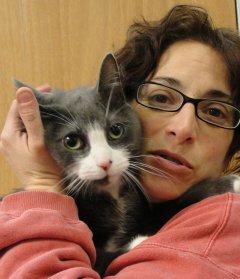 We hope you enjoy the photos and wonderful sentiments from scores of pet moms who answered our call to tell us more about themselves as much as we did. And remember--becoming a pet mom is as easy as making a visit to your local shelter or rescue group. 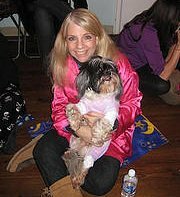 Take it from the "Doggie Moms": the love of a pet is a gift that never goes out of style! Happy Mother's Day to all! -- Love, Erika, Grace and Karen. 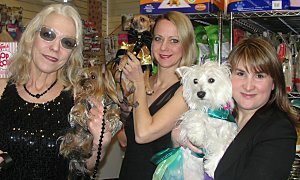 (Be sure to tune in to the Doggie Moms two-part reunion show airing on May 11 and May 18 at 9:30 pm on NYC Life Channel 25!) Click here for a sneak peak. My mom, loves her Granddog Chico...As a doggie mom, I wanted to celebrate both of them on Mother's Day! Thank you to my Chico, who made me the proudest doggie mom when he provided my mom with much needed love and laughter when she was in a nursing home, battling cancer and recuperating from multiple surgeries after being struck by a car. 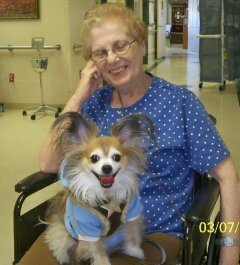 From my heart and Chico's, we want to wish the greatest "Doggie GRANDMOM" in the world a very Happy Mother's Day! Love, Chico and his Doggie Mom, Stella. Frankie's mom is Andrea Humphrey. Andrea adopted Frankie this year. He's an older cat that is very social and loving. 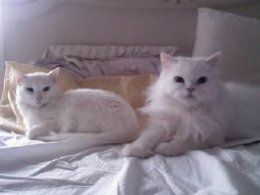 Paulina Bitetto: My friend Paulina Bitetto is one of the best pet moms ever, having adopted stray animals and given them wonderful lives. Right now, she has a German Shepherd Dog and a Bichon Frise that would otherwise have been euthanized. 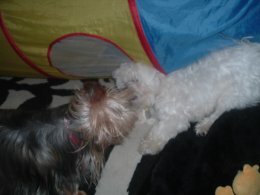 Each has been to training classes for the past several years, to dog show, and is just ADORED. 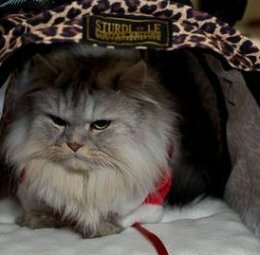 This is her cat in the picture. Happy Mother's Day from Kay! 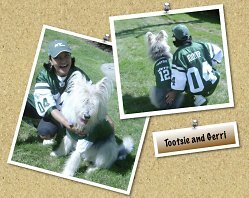 That's me, Tootsie, and I am the luckiest puppy in the world cause I have a mom who love to play football with me! I'm the best wide receiver who can escape any tackle. But sometimes I do let my mom, Gerri, tackle me cause it always ends up with a hug...and I do love hugs! We are Beth and Petey Kraimer. He is 7 years old now. 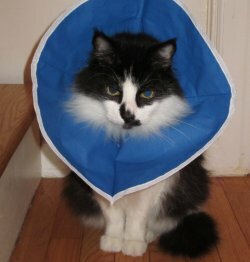 I always wanted to be a Mom and when I found Petey terribly distressed in a pet shop I knew I had to take him home. After a while he recovered and became the shoe wearing show off in Manhattan. He has made feel so loved and appreciated that he models professionally and go to all the hottest parties in the city. 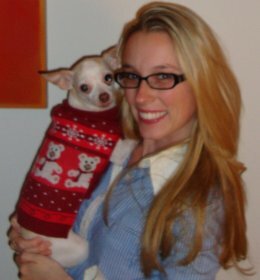 Happy Mother's Day to Pet Parent Extraordinaire Ada Nieves! From Dana Humphrey and "Martini." Madison is a four and a half year-old toy poodle rescued from an Amish puppy mill in PA in Nov. 2007 - and is the apple of her mommy's eye. Nicknames include "Lambchop," "Swee'pea," "Velcro," and "Padoodle."